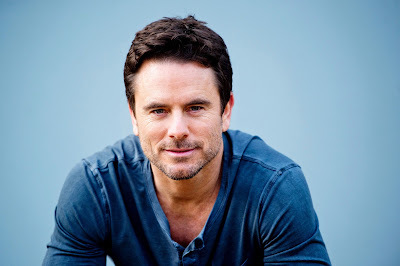 CMT’s “Nashville” star, Charles Esten has been announced to join the cast of over 40 artists for the historic night paying homage to Country Music Hall of Famer Randy Travis. Grand Ole Opry members Jeannie Seely, Riders in the Sky, John Conlee, Dailey & Vincent, Jan Howard and Rudy Gatlin will come together for a tribute of their own as fellow Grand Ole Opry members. The event is tonight at 7 p.m. at Bridgestone Arena and tickets can be purchased at Ticketmaster.com. The event, titled 1 Night. 1 Place. 1 Time: A Heroes and Friends Tribute to Randy Travis, will also feature performances from over 40 artists including Garth Brooks, Alabama, Rodney Atkins, Kane Brown, Mark Chesnutt, James Dupre, Jeff Foxworthy, Montgomery Gentry, Ben Haggard, Chris Janson, Jamey Johnson, Alison Krauss, Neal McCoy, Scotty McCreery, William Michael Morgan, Joe Nichols, Paul Overstreet, Shane Owens, Michael Ray, Collin Raye, Ricky Skaggs, Kenny Rogers, Daryle Singletary, Michael W. Smith, The Bellamy Brothers, The Randy Travis Band, Ricky Traywick, Travis Tritt, Tanya Tucker, Josh Turner, Phil Vassar, Chuck Wicks, Wynonna, Chris Young. “The reason we named this 1 Night. 1 Place. 1 Time is because it truly is that. The evening will not be filmed or aired on television or anywhere else. If you want to experience this amazing lineup, you’ve got to be in the audience tonight,” said producer Tony Conway of Conway Entertainment Group/Ontourage Management. A portion of the proceeds will go to the Randy Travis Foundation; a 501(c)3 non-profit that provides support for victims of strokes and cardiovascular diseases as well as arts and entertainment education for at-risk children. For more information, visit www.randytravisfoundation.org.